Fluorescein is one of most commonly used fluorescent dyes that emit strong green fluorescent light upon excited around 495 nm. 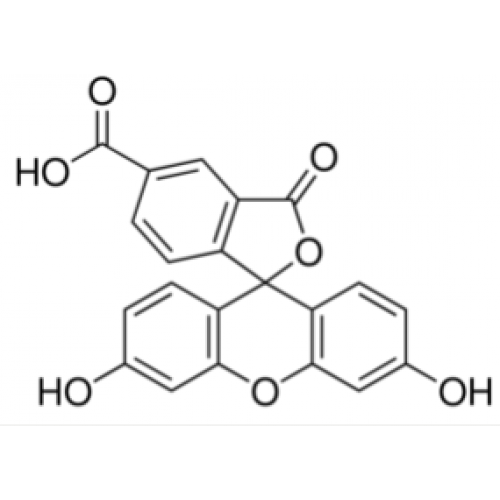 Fluorescein is one of xanthene dyes. 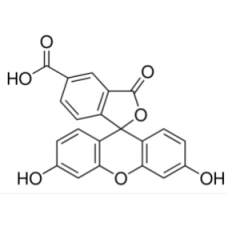 Fluorescein and its derivatives have been used as fluorescent tracer, and they are used for labeling of proteins, antibodies, nucleotides and many other molecules and materials.